A predictable component of platitudinous speeches by secularist politicians is that “Christianity was brought to India by the apostle Thomas in the 1st century AD, even before it was brought to Europe”. The intended thrust of this claim is that, unlike Hinduism which was imposed by the “Aryan invaders”, Christianity is somehow an Indian religion, even though it is expressly stated that it “was brought to India” from outside. 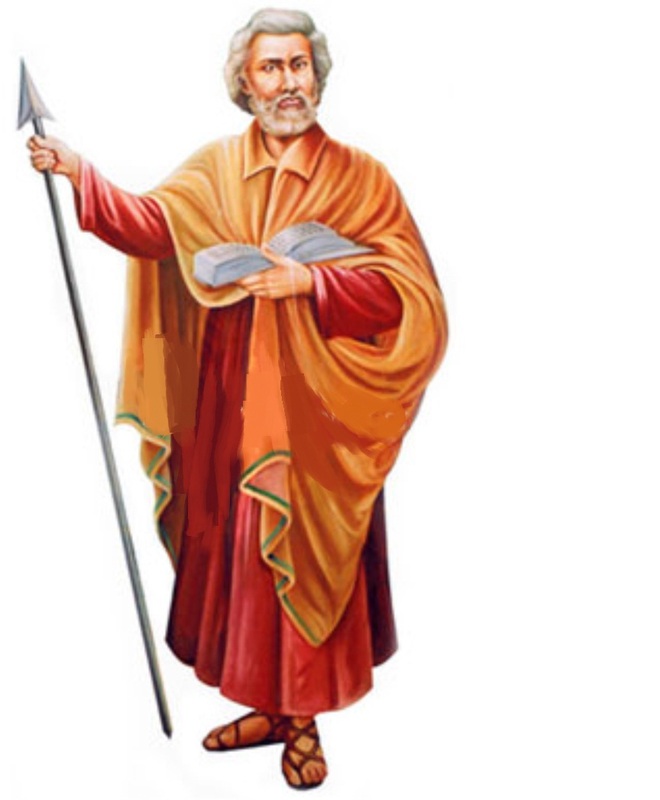 As a matter of detail, St. Paul reported on Christian communities living in Greece, Rome and Spain in the 40s AD, while St. Thomas even according to his followers only came to India in 52 AD, so by all accounts, Christianity still reached Europe before India. At any rate, its origins lay in West Asia, outside India. But this geographical primacy is not the main issue here. More importantly, there is nothing factual, nor secular, about the claim that Thomas ever came to India. That claim is a stark instance of what secularists would denounce in other cases as a “myth”. By this, I don’t mean that it was concocted in a backroom conspiracy, then propagated by obliging mercenary scribes (the way many Hindus imagine the colonial origins of the “Aryan invasion myth” came into being). It came about in a fairly innocent manner, through a misunderstanding, a misreading of an apocryphal text, the miracle-laden hagiography Acts of Thomas. This is not the place to discuss the unflattering picture painted of Thomas in his own hagiography, which credits him with many anti-social acts. The point for now is that the text never mentions nor describes the subcontinent but merely has the apostle go from Palestine eastwards to a desert-like country where people are “Mazdei” [Zoroastrian] and have Persian names. This is definitely not lush and green Kerala. Not only is there no independent record of Thomas ever coming near India, but the only source claimed for this story, doesn’t even make this claim either. However, we know of a Thomas of Cana who led a group of Christian refugees from Iran in the 4th century, when the christianisation of the Roman empire caused the Iranians to see their Syriac-speaking Christian minority as a Roman fifth column. The name “Thomas Christians” may originally have referred to this 4th-century leader. Then again, those refugees may also have been “Thomas Christians” before their migration to India in the sense that their Christian community had been founded in Iran [viz. Church of Fars] by the apostle Thomas. That he lived and worked in some Iranian region is attested and likely, but in no case did he ever settle in India. The Church Fathers Clement of Alexandra, Origen and Eusebius confirm explicitly that he settled in “Parthia”, a part of the Iranian world. From the 3rd century, we do note an increasing tendency among Christian authors to locate him in a place labelled “India”, as does the Acts of Thomas. But it must be borne in mind that this term was very vague, designating the whole region extending from Iran eastwards. Remember that when Columbus had landed in America, which he thought was East Asia, he labelled the indigenous people “Indians”, meaning “Asians”. Afghanistan is one area that was Iranian-speaking and predominantly Mazdean [Zoroastrian] but often considered part of “India”. Moreover, in some periods of history it was even politically united with parts of “India” in the narrow sense. So, Afghanistan may well be the “Western India” where Pope Benedict placed St.Thomas in his controversial speech in September 2006, to the dismay of the South Indian bishops. 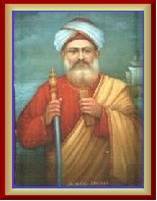 While the belief that Thomas settled in South India came about as an honest mistake, the claim that he was martyred by Brahmins was always a deliberate lie, playing upon a possible confusion between the consonants of the expression “be ruhme”, meaning “with a spear”, and those of “Brahma” (Semitic alphabets usually don’t specify vowels). That was the gratitude Hindus received in return for extending their hospitality to the Christian refugees: being blackened as the murderers of the refugees’ own hero. If the Indian bishops have any honour, they will themselves remove this false allegation from their discourse and their monuments, including the cathedral in Chennai built at the site of Thomas’s purported martyrdom (actually the site of a Shiva temple). Indeed, they will issue a historic declaration expressing their indebtedness to Hindu hospitality and pluralism and pledging to renounce their anti-Hindu animus. Secularists keep on reminding us that there is no archaeological evidence for Rama’s travels, and from this they deduce the non sequitur that Rama never existed, indeed that “Rama’s story is only a myth”. But in Rama’s case, we at least do have a literary testimony, the Ramayana, which in the absence of material evidence may or may not be truthful, while in the case of Thomas’s alleged arrival in India, we don’t even have a literary account. The text cited in the story’s favour doesn’t even have him come to a region identifiable as South India. That is why Christian scholars outside India have no problem abandoning the myth of Thomas’s landing in Kerala and of his martyrdom in Tamil Nadu. I studied at the Catholic University of Louvain, and our Jesuit professor of religious history taught us that there is no data that could dignify the Thomas legend with the status of history. This eliminates the last excuse the secularists might offer for repeating the Thomas legend, viz. that the historical truth would hurt the feelings of the Christian minority. It is clear enough that many Christians including the Pope have long given up the belief in Thomas’s Indian exploits, or (like the Church Fathers mentioned above) never believed in them in the first place. In contrast with European Christians today, Indian Christians live in a 17th century bubble, as if they are too puerile to stand in the daylight of solid historical fact. 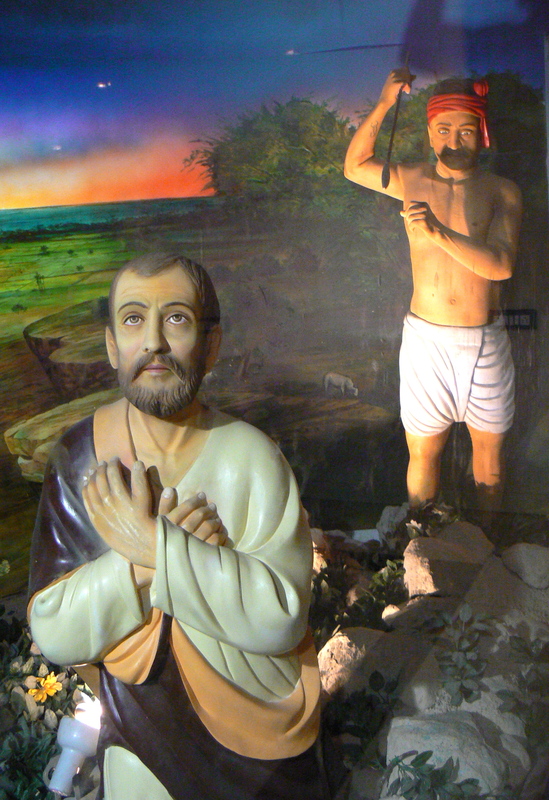 They remain in a twilight of legend and lies, at the command of ambitious “medieval” bishops who mislead them with the St. Thomas in India fable for purely selfish reasons.